I promise that this post is not about drugs although it sounds like one! Ha! Ha! Magical sushi = magic mushrooms. NOT! 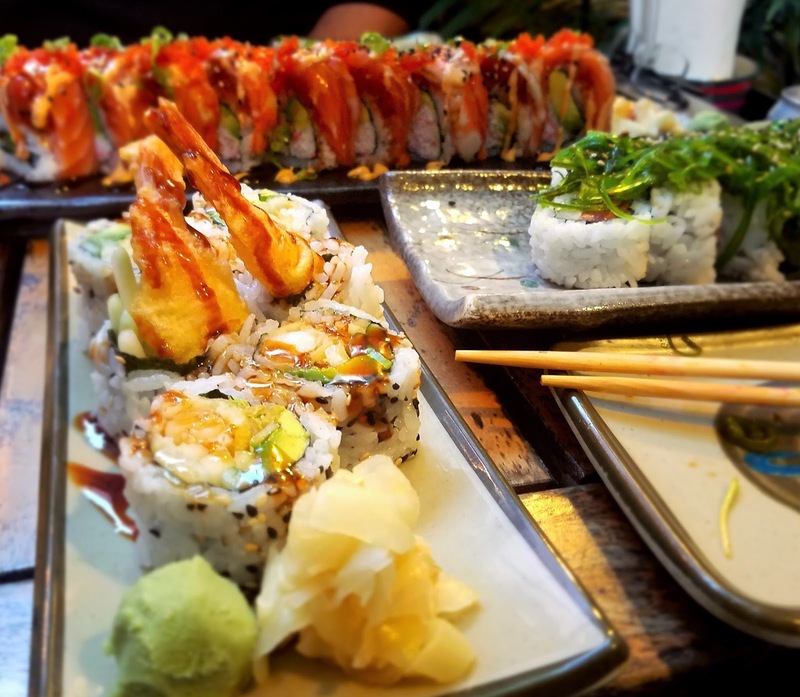 This post is about a sushi date night at a spot in our neighborhood in North Oakland. At the end of this post, you will see why it is "magical". Mr Sweetie and I hardly go to the same restaurant twice. There are thousands of places to eat in the Bay Area which make it fun to be adventurous during date nights. It is unusual for us to repeatedly go back to the same place again so soon. Well, we have been to RnR Sushi & Bowl 3 times in like -- 3 months. Mr Sweetie, who had dated a poser from Hawaii(RAWR! *claws coming out*)before I met him and also stayed in Kauai on many visits thought that the poke at RnR was one of the closest he has had in Kauai. Just look at this poke appetizer. It is loaded with big chunks of tuna and sashimi topped with seaweed. This is just an appetizer but this is a meal in itself! This is what brought us back to this restaurant 3 times and will likely bring us back again and again! 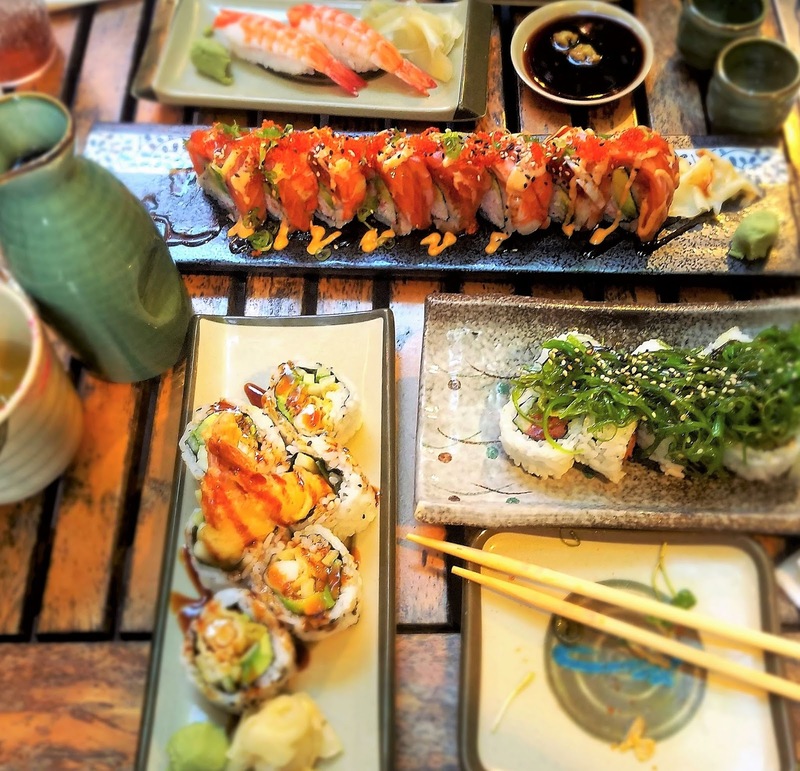 I will not name the sushi that we ordered but we definitely go sushi-happy everytime we eat here! Now, on to the bowl of "sushi and bowl". 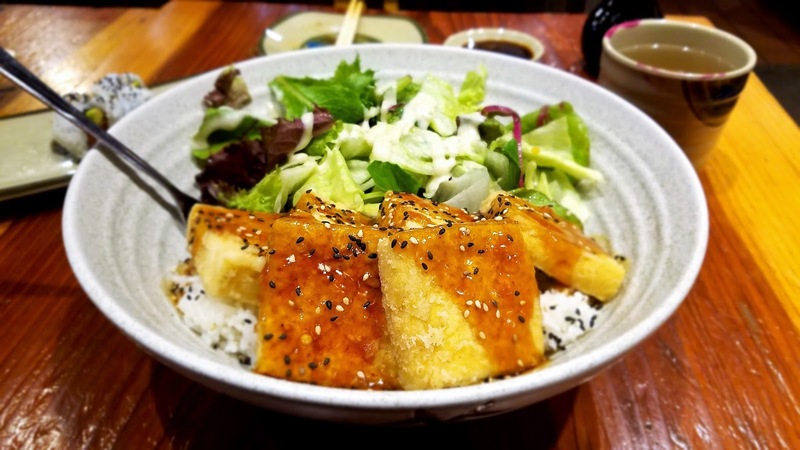 I ordered the Tofu Teriyaki Bowl. What is amazing about this bowl was that this was humongous. I could not believe it myself when it was placed in front of me. It was only $8.95. For $3.95 more, I was able to add an Alaska Roll! I was only able to eat half of this bowl and took the rest to work for lunch on Monday. So why "magical sushi"? 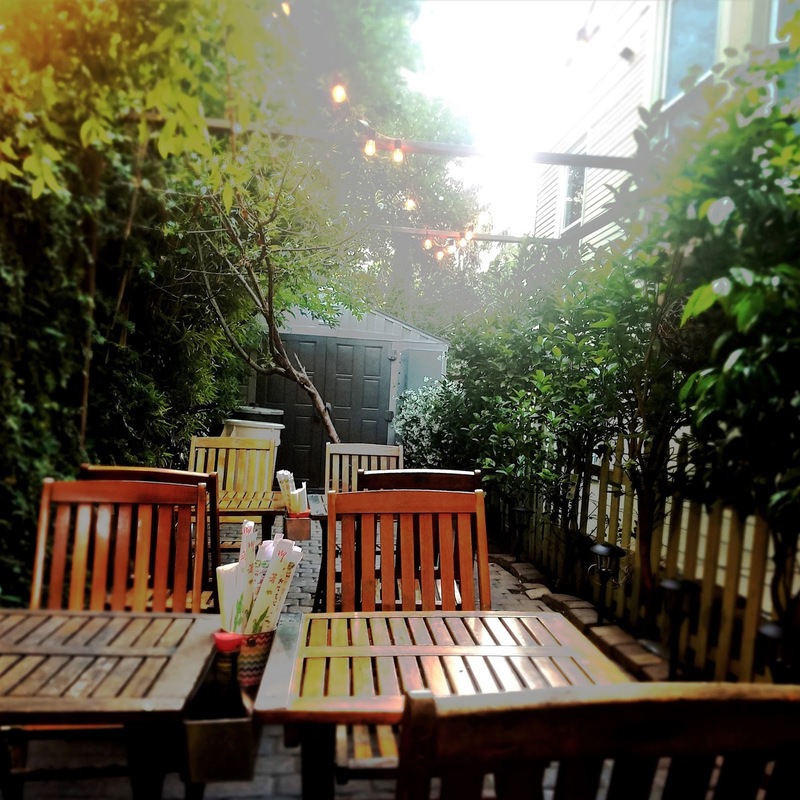 Because RnR's backyard is sweet and magical. The Bay Area has many hidden gardens like this one. And it is always a lovely surprise to be led into one like RnR's backyard. 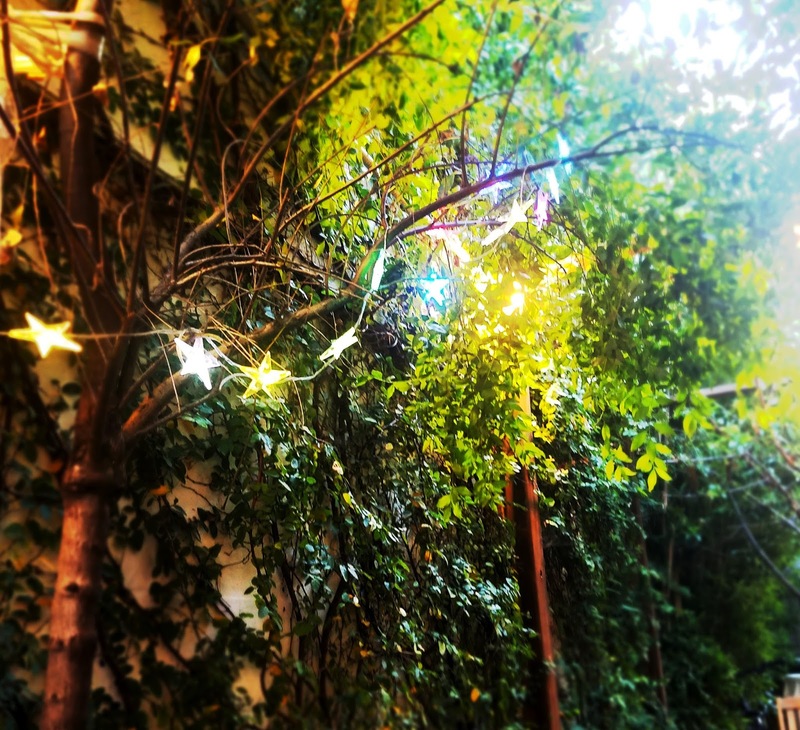 Tiny lights hung on the trees and walls and there were gurgling water fountains as well. Chinese bamboo plants surrounded the garden. RnR has one of the best values in the Bay Area. The food is fresh which is very important when eating sushi. Everything that we had so far was delicious. Our usual tab (with a large hot sake and tip) is about $90. With the amount of food that we had -- this is a total bargain! So this is why I consider this place magical! Sushi is my favorite food and I always love reading posts about them XD. 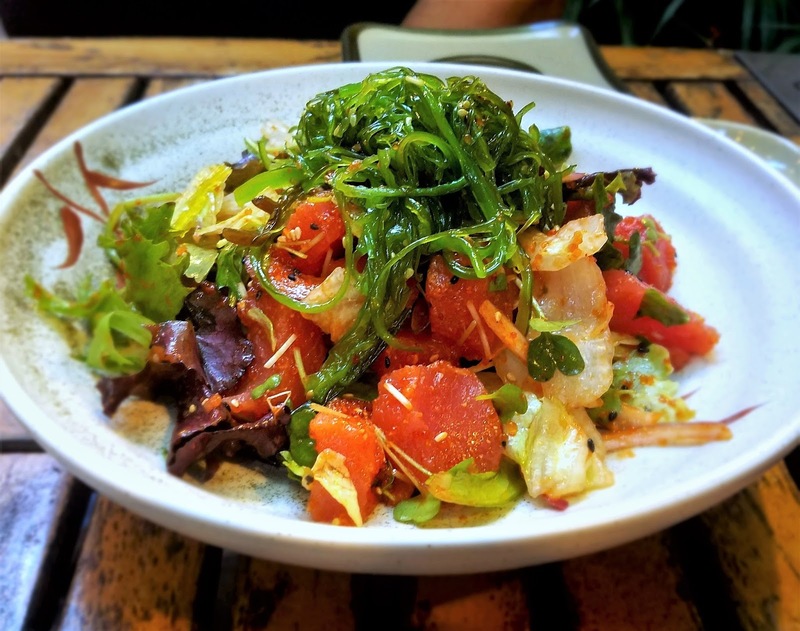 The poke appetizer looks super delicious! I love it when appetizers can be treated as a meal because I find some appetizers being the better option. The rolls that you both got looks really good. Their garden looks gorgeous!